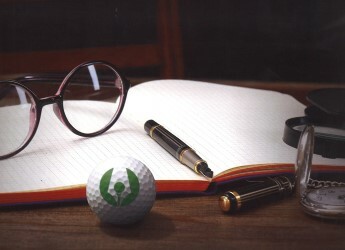 Since 1952, the Metropolitan Golf Writers Association has celebrated the great game of golf by honoring the outstanding players, contributors, clubs and organizations that have done so much for the sport. These initiatives are realized each year at the MGWA’s National Awards Dinner, and we are proud to say that ours is the longest-running and often the largest golf dinner in the United States. The MGWA National Awards Dinner has raised more than two million dollars for the Long Island, New Jersey and Westchester Caddie Scholarship programs; the MGA Foundation; and the Dave Marr Memorial Scholarship at the Columbia University Graduate School of Journalism. At each dinner the MGWA recognizes golf’s greatest players, contributors and organizations. The Gold Tee Award, its highest honor, has been presented to such luminaries as Bobby Jones, Ben Hogan, Sam Snead, Patty Berg, Byron Nelson, Arnold Palmer, Jack Nicklaus, Gary Player, Nancy Lopez, Annika Sorenstam, Charlie Sifford, Phil Mickelson, and Ernie Els. Recent honorees include Fred Couples (2014), Nick Price (2015), Davis Love III (2016), Mark O'Meara (2017) and Padraig Harrington (2018). In 2019, the Gold Tee Award will be presented to Jim Furyk. Many of the sport’s top journalists and commentators have been MGWA members. 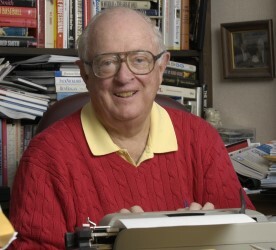 Lincoln Werden, the golf writer for The New York Times during the 1950s and 1960s, was the organization’s first president. Other members, both past and present, include Dave Anderson, Guido Cribari, Will Grimsley, Arthur (Red) Hoffman, Al Laney, Dave Marr, Jim Nantz, Jimmy Roberts, Nick Seitz and Jack Whitaker. Anderson, the Pulitzer Prize-winning columnist of The New York Times, was a long-time member of the MGWA’s Board of Directors. It is with profound regret that the Metropolitan Golf Writers Association announces the passing of Dave Anderson, Pulitzer Prize-winning columnist for the New York Times and long-time MGWA Board Member. Dave's accomplishments as a columnist, reporter and author over a 50-year career have been widely recognized: He was one of only three sports writers to be honored with the Pulitzer Prize for sports commentary, which he received in 1981, and he was the recipient of the 1994 Associated Press Sports Editors Red Smith Award for major contributions to sports journalism, as well as the 1996 MGWA Lincoln Werden Golf Journalism Award. While Dave covered many sports, his passion was golf. A true fan of the game, he reported on many of golf’s major events for decades. Dave was an active golfer himself and a long-time member of Knickerbocker Country Club. His enthusiasm for the game led him to the Metropolitan Golf Writers Association, where he became an engaged and respected Board Member. Anderson also gave back generously to the game he loved. He was a frequent speaker at local Association events and supported many Metropolitan Golf Association programs and activities. For his support of the game both locally and at the NY Times, he received the MGA's highest honor – its Distinguished Service Award – in 2007. Dave's accomplishments as an extraordinary writer and journalist were only exceeded by the class and elegance with which he conducted himself. He was beloved and respected by his family, his colleagues, the people he covered and by his loyal readers. His contributions to the MGWA were immense, and we are grateful for his guidance and support. Our deepest sympathies go out to his sons and daughters and the entire Anderson family.